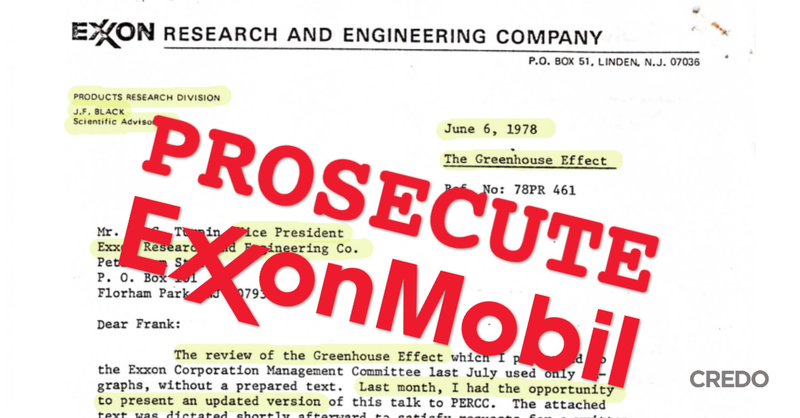 This week were further revelations of the shocking extent to which Exxon executives knew about the severity of climate change as early as the 1970’s but orchestrated a campaign of climate denial to deliberately delay action on climate change in favour of their own profits. n this great video for Philosophy lecturer Mark Jago’s blog, Two Wolves, I explain what I believe are some of the key points for understanding the ethics of climate change. Such gross unethical behaviour as that of Exxon pulls immediately at our sense of justice, yet no law exists currently to bring those responsible fully to justice. Exxon may well be prosecuted for racketeering but our justice system has yet to catch up with this despicable climate crime. The campaign to make ecocide a criminal offence is one way we can move forward. It will be by our efforts that the law is made to catch up with the ethics of climate change. This entry was posted in Activism and tagged Climate change, Climate justice, ethics, Exxon, philosophy, Two wolves. Bookmark the permalink.